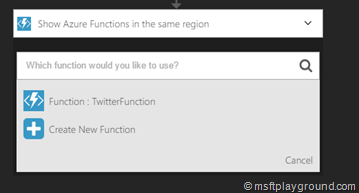 Azure functions is a component released a few weeks ago by Microsoft in Azure to easily perform code/function in Azure. 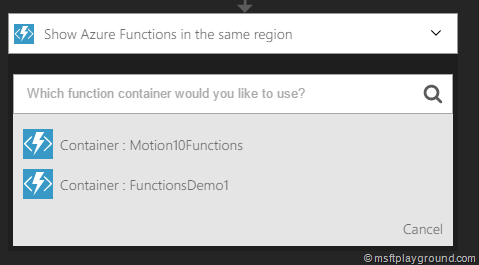 If you want more information on Functions you can get this from the documentation site of Microsoft (https://azure.microsoft.com/en-us/documentation/articles/functions-overview/). I could imagine a lot of situations were you would like to incorporate pieces of code within a Logic App. You already could achieve this by creating a web / api application but with the use of functions this is a lot easier and you can benefit off the dynamic loading of Azure functions. 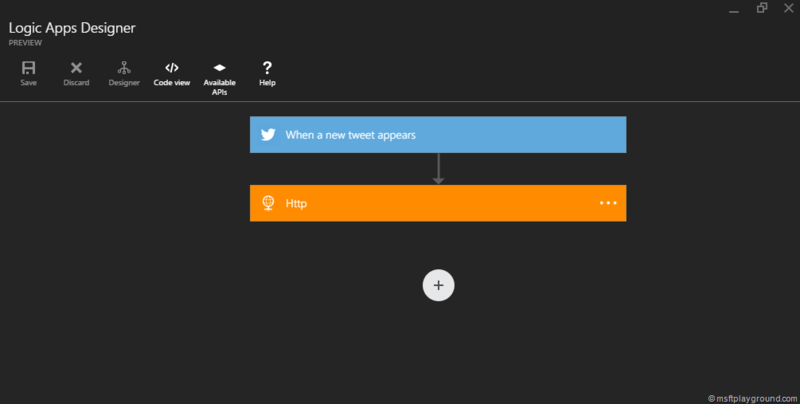 To incorporate functions open the Logic App designer and press the + button. The designer will give a couple of options. If you try the search box you won’t find any functions. 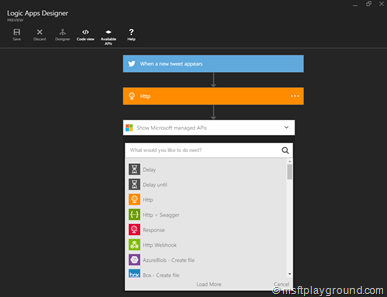 To incorporate the functions click on “Show Microsoft Managed APIs”. This option gives several options that exist in the same region. 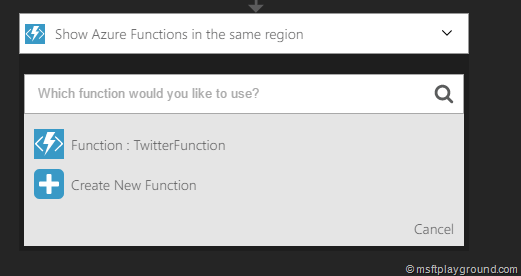 One of the options is Azure Functions. Clicking on the option “Show Azure Functions in the same region” will open the selection for the functions container. Select the right container. 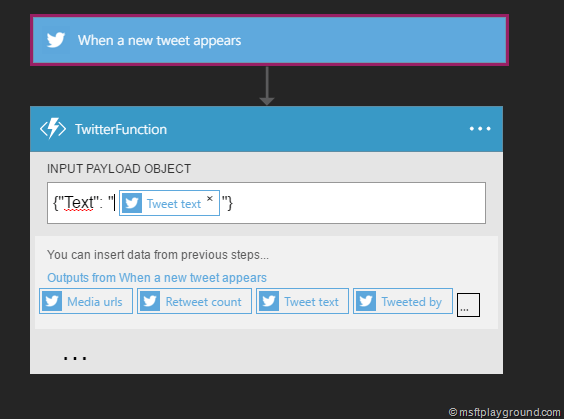 With the right container selected the existing functions will be loaded. Besides that you can also create a new one. With the function selected you can add the input payload for the function.